Our desire is to maximize the life that God has given to us by living for His glory in every area of our lives. 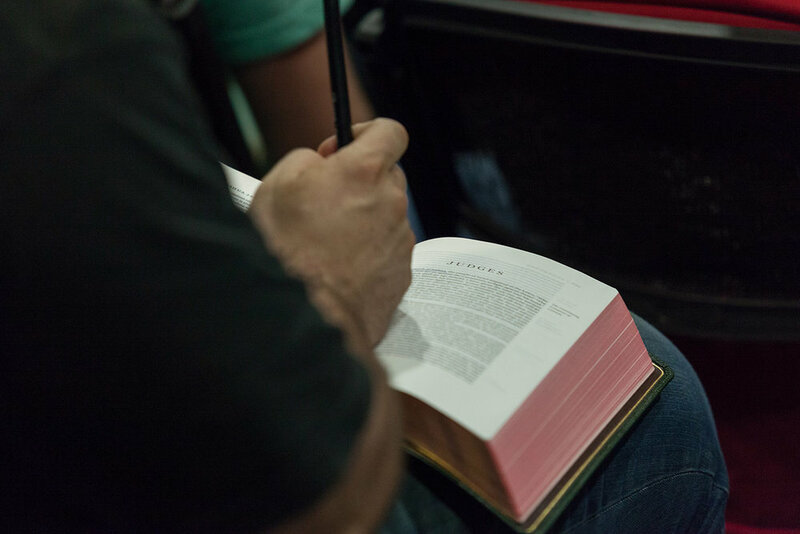 We strive to ensure that every man is discipled and is discipling another. We meet in several settings throughout the week where we study God’s Word and provide accountability for each other. Throughout the year, we also have large events such as breakfasts, golf tournaments, worship nights and service projects impacting those who are in both our church family and in the surrounding community. Please note our schedule is updated as new events and changes made. For the most up to date information, please email Pat Dean at deanpj@verizon.net and he will add you to our email distribution list. MACC Men’s Ministry meets upstairs in the Blue Room at 7:00 p.m. In this 12-part series on the Gospel of Mark, the King's Men will combine local teaching with video teaching from author and speaker Francis Chan which will invite us to walk along the ancient ways of the Master during His earthly Ministry. Tracing the steps of Jesus and the Twelve through Israel, we will explore the major themes of the Gospel of Mark, and ask: Are we willing to take this journey to embrace discipleship? You will emerge from this study with a deeper walk with our King. Bring another man with you to take this journey with you!